[submitted by Debra Shea] Joni's Boho Dance is a personal story (it does seem to me she's talking to a particular person as well as thinking about where she fits in) and goes beyond Tom Wolfe's discussion of the art world, but it does start with it. _The Painted Word_ was published in June 1975, the same year as HOSL, so the subject may have been talked about in Larry Poons's NY loft, along with Don't Interrupt the Sorrow (since LP is mentioned in the book, he probably knew about it before it was published). And it's not so much about artists and critics, as about the relationship between artists and the people buying their art (with critics often(?) determining what those people are buying and the buyers purchasing not only art but the feeling that they, because of their relationship with the artist, are also bohemians -- at least briefly). It's Wolfe's premise that the visual arts are the only art form in which relatively few wealthy people decide what everyone else will see. "...the [art mating] ritual has two phases: (1) The Boho Dance, in which the artist shows his stuff within the circles, coteries, movements, isms, of the home neighborhood, bohemia itself, as if he doesn't care about anything else; as if, in fact, he has a knife in his teeth against the fashionable world uptown. (2) The Consummation, in which culterati from that very same world, le monde, scout the various new movements and new artists of bohemia, select those who seem the most exciting, original, important, by whatever standards -- and shower them with all the rewards of celebrity." "...here we have the classic demonstration of the artist who knows how to double-track his way from the Boho Dance to the Consummation as opposed to the artist who gets stuck forever in the Boho Dance. This is an ever-present hazard of the art mating ritual. Truly successful double-tracking requires the artist to be a sincere and committed performer in *both roles. * Many artists become so dedicated to bohemian values, internalize their antibourgeois feelings so profoundly, that they are unable to cut loose, let go ... and submit gracefully to good fortune; the sort of artist, and his name is Legion, who always comes to the black-tie openings at the Museum of Modern Art wearing a dinner jacket and paint-spattered Levis's . . . *I'm still a virgin! *"
One verse especially seems to come from this paragraph, although Joni's words are so much richer. 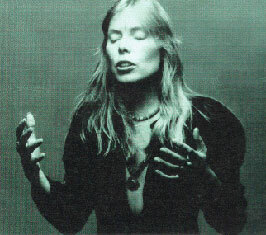 Joni's conclusion is that she's not involved in this art mating ritual at all: "The streets were never really mine. Not mine these glamour gowns." Is that because she was making music, instead of showing her artwork? At first I thought this song went beyond the art world and was about anyone getting stuck in a certain lifestyle, even if it's hurtful. But maybe she WAS just talking about the visual arts. Most of the song is criticizing someone else. It does seem like she's aloof and separate from the Boho Dance, not that she's learned how to do it comfortably herself. Hmmm, is this actually a song about Joni's relationship to the art world? "Chaka Khan once told me my chords were like questions, and in fact, I've always thought of them as chords of inquiry. My emotional life is quite complex, and I try to reflect that in my music. For instance, a minor chord is pure tragedy; in order to infuse it with a thread of optimism, you add an odd string to the chord to carry the voice of hope. Then perhaps you add a dissonant because in the stressful society we live in dissonance is aggressing against us at every moment. 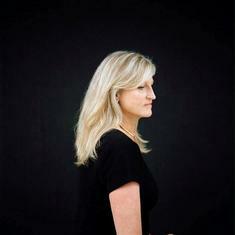 So, there's an inquiry to the chords comparable to the unresolved quality of much poetry." 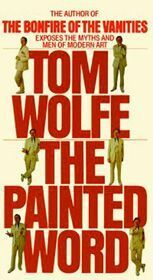 Re the sense of the phrase "the Boho Dance" in the song: The above poster's note that it originates with Tom Wolfe is helpful. But the reference is to an old Mitchell preoccupation: "The Boho Dance" strongly echoes the earlier"For Free," as well as "For the Roses": all express the anxiety of an artist who, like Mitchell at the time, has recently made it big. Do the limos and the glamor gowns mean she's sold out? Not an artist any more at all? What I especially like about "The Boho Dance" is that among these songs (and there are others) it's the only one to try to settle the conflict--by acknowledging that Mitchell always had a yen for both sides of the street. "Even on the scuffle/the cleaner's press was in my jeans..." In reality, it's an ambiguity that won't ever be resolved. Re the songcraft, to cast the song as an argument with an unnamed fellow artist is an inspired move--I find the song not just thoughtful but involvingly dramatic. A brilliant and lovely song.